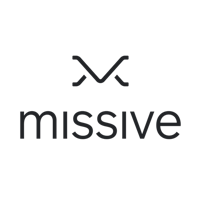 Missive is a collaborative email app that also lets you manage all your shared inboxes (Email, Facebook, SMS and Twitter accounts) from a single place. The Asana integration will let you create and update tasks right in the context of your Inbox. 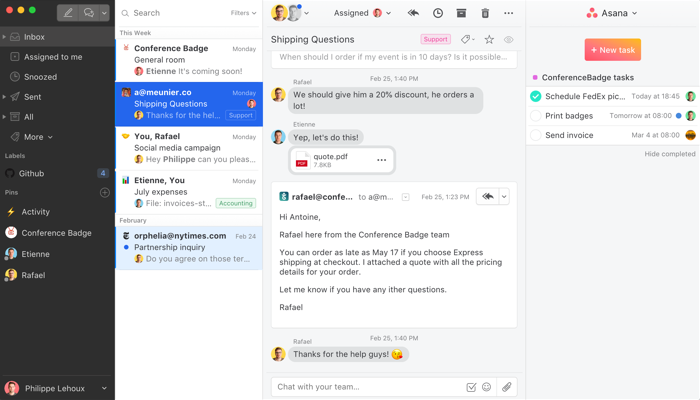 No more back-and-forth between your email client and Asana. The integration gives you access to all your projects, tags, custom fields and teammates. You will be able to assign tasks to teammates and define due dates. Once a task is completed, it can be marked as completed both from Missive and Asana, and the change will be synced in between the two apps. You can quickly share the integration from the Missive settings with the rest of your team, or all your teammates can import their own Asana account themselves. In Missive, open the integration settings, click the ‘Add integration’ button, select “Asana,” and follow the instructions.